Turning Pro professionals consist of a landscape contractor, a landscape architect and a highly trained staff of landscape designers. Working together they are able to transfer their expertise in the field of irrigation and landscape construction and design to people interested in installing efficient high quality irrigation systems. They believe strongly in assisting everyone to create and enjoy their personal home environment. Turning Pro Productions was founded to make expert professional advise available to everyone. 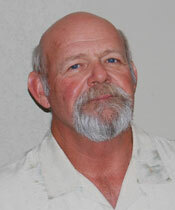 Keith has worked in the field of landscape construction for more than 30 years. He has constructed all types of landscape projects. From golf courses to every level and size of residential development, his commitment to high quality and solid installation techniques is evident in every landscape project he builds. Keith believes in sharing his experience of landscape and irrigation techniques to help anyone understand and correctly install an irrigation system that is water efficient and easy to maintain. A licensed landscape architect with 28 years experience in landscape design, Pat strives to create visually interesting and environmentally sensitive design solutions. Landscape project experience encompasses most areas of construction and development, including commercial, retail, industrial, fire and police stations, office buildings, schools, city streetscapes, parks and all levels of residential design. 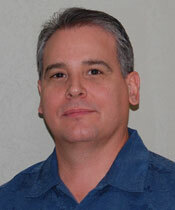 Pat has a strong desire to make interacting with a design professional more approachable. Through the video irrigation series and design service he hopes to make it possible for everyone to have access to professional landscape advice. Our goal is to assist everyone with our extensive background knowledge for installing a landscape irrigation system in their own residential environment. We will offer insightful and efficient techniques to working with the many types of landscape irrigation system equipment and components. Think of us as your on demand landscape professionals for expert advice. 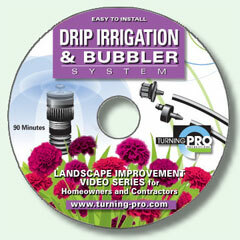 Take a look at our instructional DVD’s and our landscape irrigation system repair manual. Click through the many chapters to see a fully illustrated installation process that will give you the confidence and expertise to complete a high quality efficient watering system. 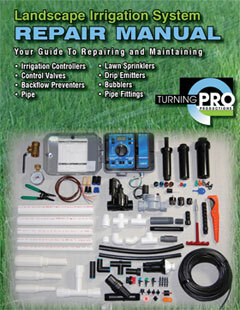 Repair your existing leaking inefficient lawn sprinkler system to a finely tuned water saving system using our easy to follow Landscape Irrigation Repair Manual. Fix leaking pipe, adjust sprinkler spray patterns, replace non-working valves, learn to program an irrigation controller and much more. Let the experts at Turning Pro enable you with their decades of landscape design and construction experience. 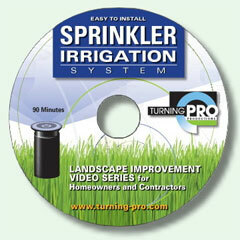 Install and repair your irrigation system like a pro. Get years more life out of your system while saving precious water and money.